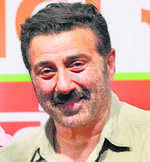 In 2007, Jwantha fought the elections as an Independent candidate from the seat and defeated BJP candidate Amrit Lal Nagar. Residents of 92 villages of the Mori blcok have decided to support Independent candidate Durgesh Lal, a resident of Reksa village, from the Purola Assembly seat. Residents of around 92 villages in the Mori block in Uttarkashi district are irked at the apathy shown by elected BJP and Congress MLAs. They have decided to oppose the candidates from both parties and even announced their own candidate from the Purola (reserved) seat in Uttarkashi district. The decision of voters in the Mori development block that consists of more than 92 villages to support Durgesh Lal, a resident of Reksa village, from the Purola Assembly seat in the forthcoming elections is cause of worry for both parties. Residents say as MLAs from Purola belonging to national parties have done nothing for the development of the region, forcing them to announce their own Independent candidate this time. People have pledged in front of the local deities Mhaasu Devta, God of justice, and Someshwar Maharaj to support Durgesh Lal. This development could affect the poll prospects of both BJP and Congress candidates and tilt the results in favour of any candidate. Purola is a reserved constituency and nothing has changed for the people of the Mori block having around 27,000 voters, more than Purola that has 19,000 voters and the Naugaon block with 20,000 voters. There are around 65,930 voters in the Purola Assembly segment, including 21,650 women. BJP leader Mal Chand and Rajesh Jwantha, both from Purola, have staked their claims to the ticket, while former BJP legislator Rajkumar from Naugaon is also trying for the BJP ticket from Purola. 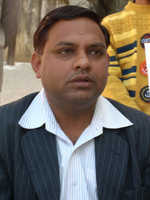 BJP candidate Mal Chand had defeated Congress candidate Rajesh Jwantha in 2002. In 2007, Jwantha fought the elections as an Independent candidate from the seat and defeated BJP candidate Amrit Lal Nagar. The BJP again fielded Mal Chand in 2012 and he won the elections. As the two national parties not considering any candidate from the Mori block, the area people decided at a Maha Panchayat held recently to support Independent candidate Durgesh Lal. 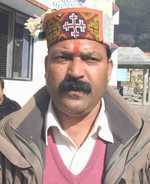 President of the Mori Maha Panchayat Jaipal Singh Bajir says the Congress and the BJP have betrayed the people of the region. Basic amenities such as proper roads, hospitals and schools and bridges are absent, making life difficult for them. Hence they have decided to support the candidate chosen by the maha panchayat, who is ready to deliver on the promises made during the elections. The Mori area has immense tourism, potential besides the Char Dham yatra but it can only happen when a candidate other than belonging to the BJP and the Congress is elected, he says.